Having placed on the podium at the last two global championships, Paul Chelimo is in prime position to take over from Mo Farah as the dominant track endurance runner. The charismatic American has the confidence to match his talent too. The Kenyan-born runner began 2017 with a new year resolution to not lose any races. 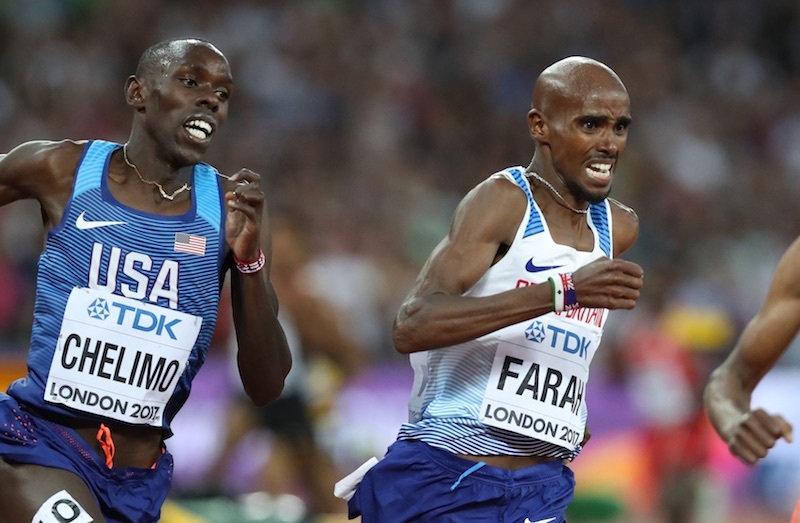 Although he ultimately failed, he is targeting the same next year, hoping improved strength and greater experience will be key in making him the world’s best on the track now Farah has moved to the marathon. 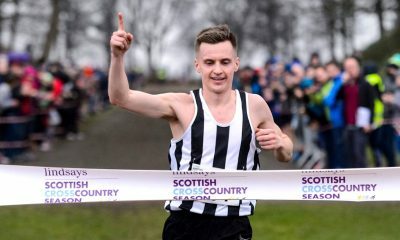 The man who won 5000m Olympic silver behind Mo Farah in 2016 and bronze behind Muktar Edris and the Brit over the same distance at the 2017 Worlds believes he is lacking in endurance. 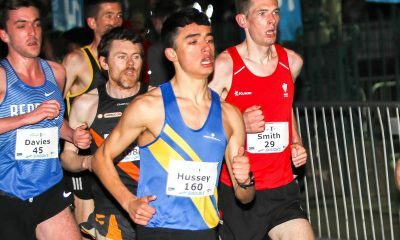 To that end, he is focused on the 3000m at the IAAF World Indoor Championships in Birmingham next spring. The other missing link for Chelimo is experience, he believes. “As years go by I’m getting stronger. It’s just the little things that I would have needed to have beaten Mo, but he has way more experience,” he said. “He has been in this game for a long time. It took him a long time to medal. He’s been through that process. He knows what to do to get a medal. Chelimo knows his PB of 13:03.90 does not reflect his ability. Therefore, along with winning World Indoors gold, breaking 13 minutes is his big goal for next year. 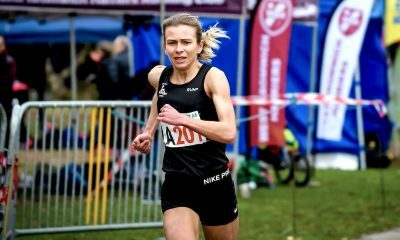 “I’m way ahead of training [this autumn], preparing early, building more strength so when I get into a race I should be ready to handle any type of pace,” he said. The story of his nationality switch is an unusual one. Born in Iten, he attended university in the United States and then, as a member of the army, gained expedited citizenship and in June 2015 was given clearance to represent his new country. He serves as a water treatment specialist. He said giving up his Kenyan nationality was a big decision but added: “A big part of it was that the United States has been there for me. They paid for my scholarship for four years and the best was I could give back was serving in the military. 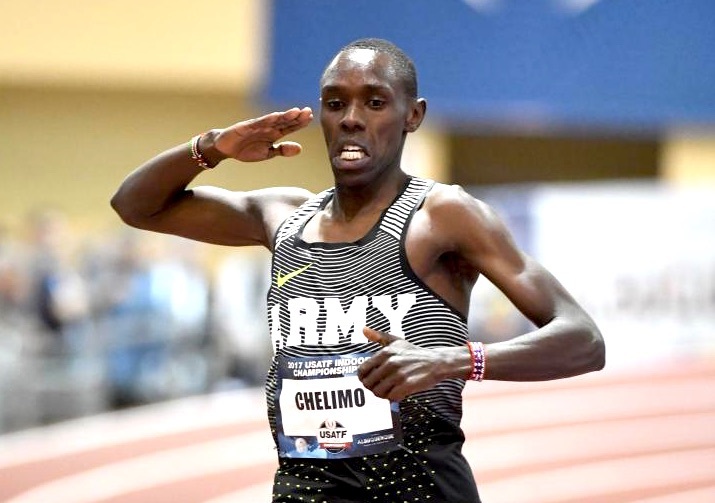 While a number of athletes have been accused of transferring citizenship to make it easier to qualify for major championships, Chelimo claims it is tougher to make teams in the USA as, although the Kenyans may be able to run the faster times, they lack tactical ability. Some may disagree. 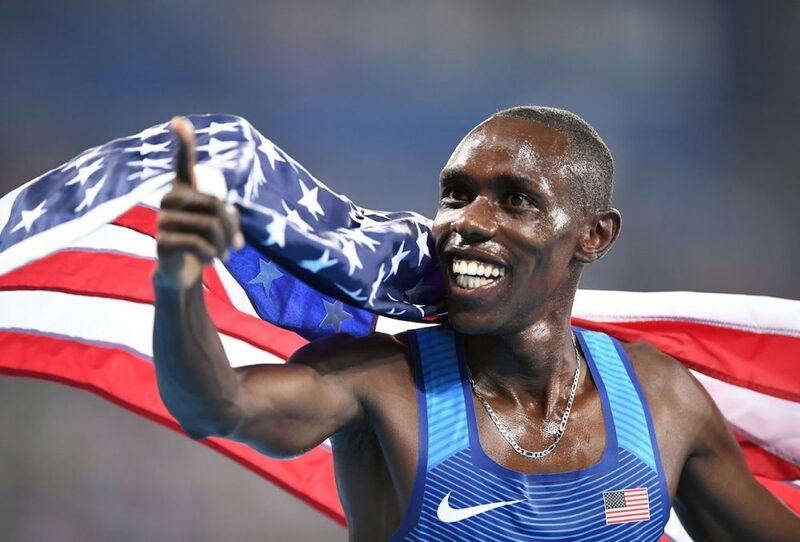 However, what is certain is that with United States distance running on the up, particularly after recent World Marathon Majors wins for Galen Rupp and Shalane Flanagan, Chelimo is at the forefront as the USA leads the challenge to the African dominance.